After a meeting with Russian counterpart Dmitry Medvedev, the president of Turkmenistan, Gurbanguly Berdymukhamedov said that uninterrupted supply of natural gas is the priority to establish energy security in the world. Gas cooperation forms the basis of the partnership between the two countries that are both major suppliers of blue fuel to Europe. The two presidents have been meeting in the Kremlin, and have signed a range of agreements on trade, energy cooperation, and security. 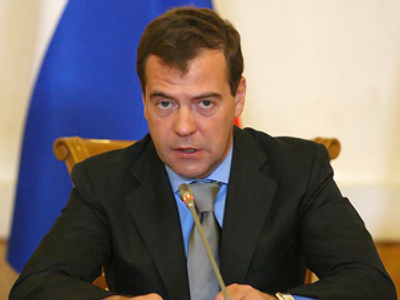 According to Medvedev, the new agreement on the East-West gas pipeline is expected to be signed in the near future. The inter-governmental agreement on the Caspian pipeline and some other projects are being studied. The two countries support the idea of calling an international conference in Ashgabat, the capital of Turkmenistan, in April to discuss the issue of maintaining the reliable and stable transportation of energy resources to world markets. That is included in the official joint statement, signed by both leaders. The presidents want to draw attention to the importance of the UN General Assembly’s resolution dated December 19, 2008. The resolution concerns the “reliable and stable transit of energy and its role in ensuring sustainable development and international cooperation” that was adopted on the initiative of Turkmenistan. Russia co-authored the resolution. 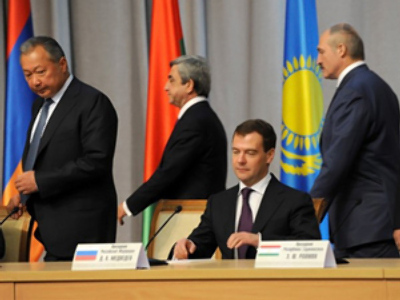 According to president Medvedev, the trade between Russia and Turkmenistan, including gas supplies, is almost seven billion dollars. He said trade has increased by nearly 43 per cent since 2007. “Today our relations are a long-term strategic partnership, which is not exposed to political conjuncture and external factors,” said Berdymukhamedov. Both Russia and Turkmenistan have good energy cooperation plans, he said. 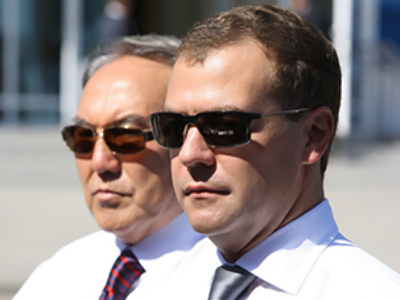 Medvedev and Berdymukhamedov also discussed prospects for cooperating in the transport sector. “This is also a very promising area. If we give the go-ahead to projects in this area, this will make our ties even closer,” the Russian leader said.